Pppd got tired of forgetting to lock his door so he made a door lock reminder. Once you open and close the door the device starts buzzing and doesn’t stop until you lock it. 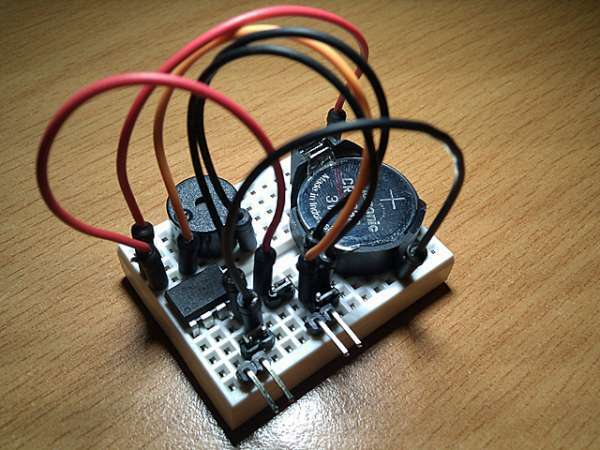 It is battery powered and uses ATtiny13, two reed buttons, and a buzzer. Source of the firmware is available. When the door gets opened it activates, powers up the second switch via PB3 and waits for the door to be closed again checking PB1 level. It then checks the lock status and keeps beeping until you lock the door (PB4 level).